Now a day mobile compatibility is a basic requirement for nearly every web development project today. Of course, the effort involved in creating a mobile optimized, responsive website differs from scope to scope – a static website requires significantly less effort to be made responsive than a dynamic website with user interaction features and content in multiple formats. But the increase in mobile traffic has made it more demanding. This is the time when people like to use mobile devices, tablets for all of their work and so to increase engagement and business, one will need mobile optimized or you can say responsive design. 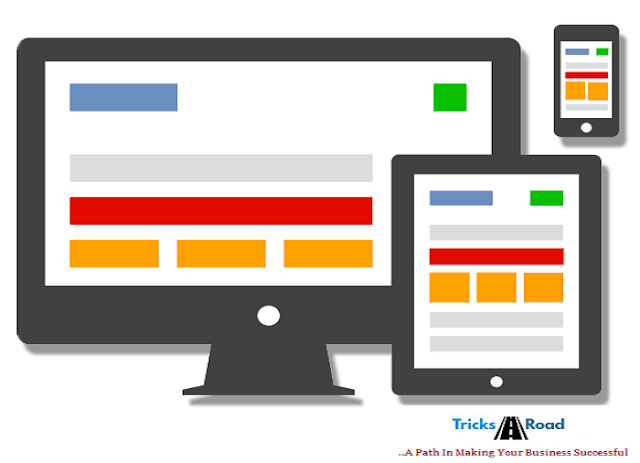 Below are some of the basic points you should consider while creating a responsive design. Especially if you are a company and developing the site for your client. Usually, nowadays people are so busy that they even don’t have some specific time to check your design on laptop or PC. So you should develop the application in such a way that it can work on all type of devices. You can also take help of some website builder to create the site for you. Here all you will have to do is, just drag and drop the component and rest will be done by the tool. Screen resolution is the most basic thing that you should take care while creating a responsive design. Each manufacturer has their own list of screen sizes & resolutions they believe to be ideal, which in turn increases a developer’s effort. On top of that, both portrait and landscape modes have to be considered while design. Web design Mexico or web design new York or in any part of the world these should be taken care of. After the screen resolution, the later that should be taken care of is design. It’s well said that “what is seen is sold”. So to attract the customers, you should have a good design. Either you can hard code it or you can use the templates available in the market. Depending upon your requirement, choose the one. I am sure you must have heard this line..right? Yes, content matters. You have done a good design and have good resolution but what about content. With just design you can’t express the feeling, you won’t be able to convey your message to customers. For this, you need something which sales and what can be better than few sales pitch. If you can write those by yourself, it’s well and good else hire some freelancers and get it developed so that it can sell and make an impact. A good web designer has to take care of loading speed as well. There are many reasons behind it. • Web loading speed has a great impact on search engine ranking. Google give great importance to loading speed while deciding SERP. So lesser the loading time, higher the SERP. Work in a way to reduce blog load time. • From the user point of view as well, no one likes to wait and so if the loading time is more, you are losing your business. Suppose you have developed some website for some client. But why you have developed? There must be some specific requirement of the client like it may be their company’s website or some product related site or for a specific reason. No matter what is the reason and purpose, there are some pages which must be there. I am sure you must be knowing about the importance of leads in online business. So there must be something which can capture leads like a contact page or any form which can save the member information. Similarly, you should have about or few other important pages. These were the 5 basic points that you have to consider while developing a site for your client.